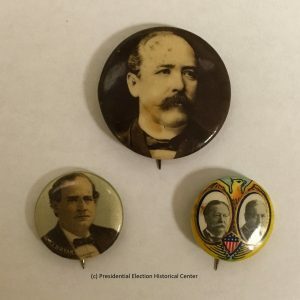 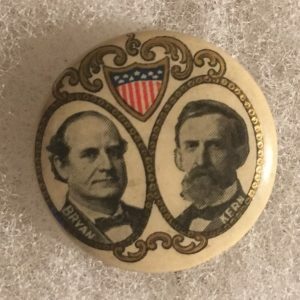 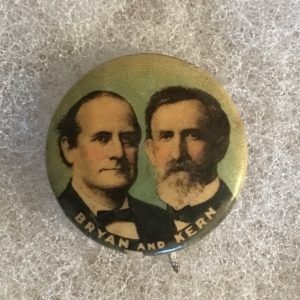 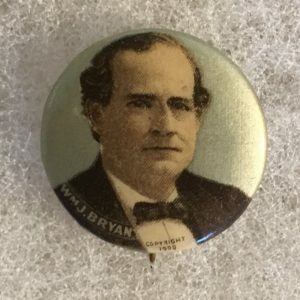 William Bryan campaign buttons were mostly celluloid buttons. 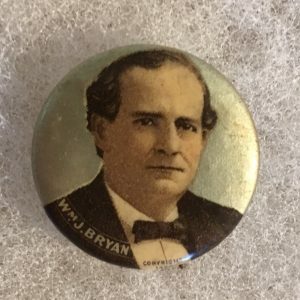 William Jennings Bryan (March 19, 1860 to July 26, 1925) was a leading American politician from the 1890s until his death. 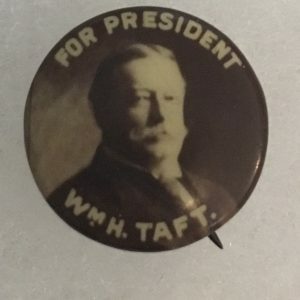 He was a dominant force in the populist wing of the Democratic Party, standing three times as its candidate for President of the United States (1896, 1900 and 1908). 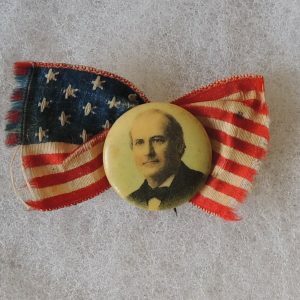 He served two terms as a member of the United States House of Representatives from Nebraska and was the 41st United States Secretary of State under President Woodrow Wilson (1913 to 1915), taking a pacifist position on the World War. 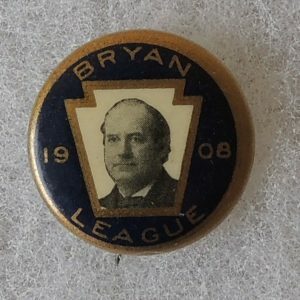 Bryan was a devout Christian, a supporter of popular democracy, and an enemy of the gold standard as well as banks and railroads. 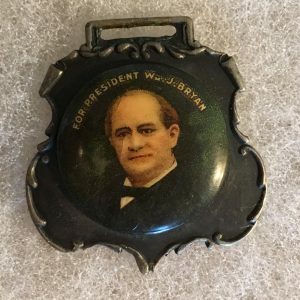 He was a leader of the silverite movement in the 1890s, a peace advocate, a prohibitionist, and an opponent of Darwinism on religious and humanitarian grounds. 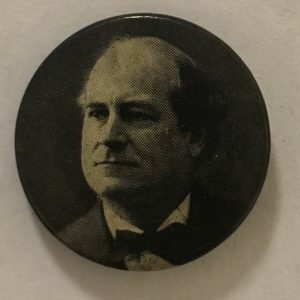 With his deep, commanding voice and wide travels, he was one of the best known orators and lecturers of the era. 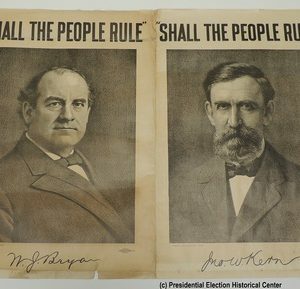 Because of his faith in the wisdom of the common people, he was called “The Great Commoner. 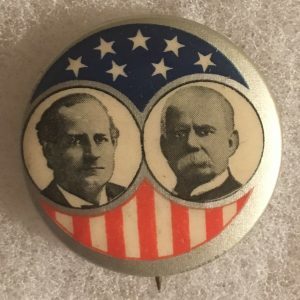 Democratic Conventions: 1896-Chicago, IL 1900-Kansas City, MO; 1908-Denver, CO.